Easily turn abandoning users into cash! Exit Intent opens a popup when users attempt to leave your site. Exit Intent has been proven to be effective at rates of 300% and up. The average site loses over 70% of its users and they never return. Every person who leaves your site is lost revenue. What if you had the power to reverse those losses and turn abandoning users into profits? With exit intent popups you get a chance to take some of them back. 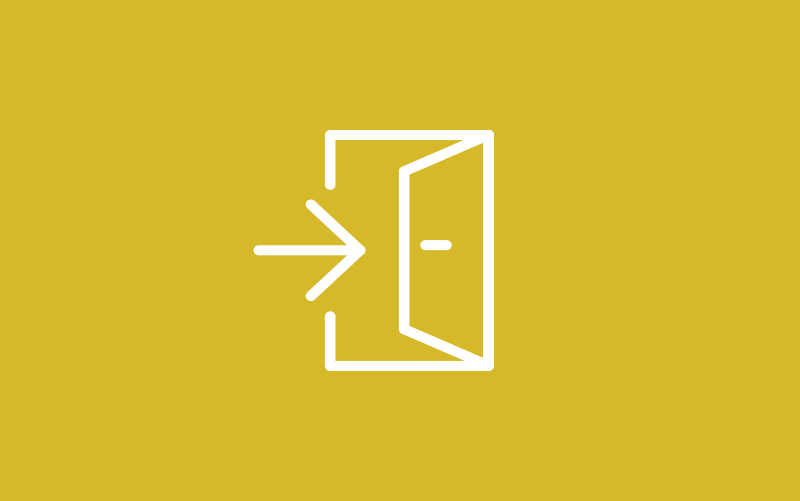 Exit Intent Popups use our Soft Exit Detection technology to open a popup at the exact moment a user is about to leave your site by detecting when their cursor exits the body of your website at the top. Exit Intent popups by Popup Maker are the absolute best way to get increase leads on your site and get users, who would otherwise never return to your site, on the hook for your services or products. Want to sign up abandoning users for a newsletter, promo, special offer, or survey, etc, and get them on the hook? No problem! Popup Maker works with nearly any newsletter service form and the most popular WordPress form plugins. 100% seamlessly integrates with Gravity Forms, Ninja Forms, and Contact Form 7. Also, this extension comes with settings to enable Hard Exit Prevention, which means your users, when leaving a page, will be interrupted and prompted with an alert confirming that they want to leave the website with a customizable message. Upon clicking cancel (staying on your site), your Exit Intent Popup will appear. A 700% increase sounds huge and it is by all means, but you can expect to convert 2-4% of your users into subscribers, paying customers and/or both. Typically the average site converts less than 0.5% of its users into subscribers, with a targeted exit intent campaign you can see a noticeable difference that will add up over time. Adjustable Sensitivity – We give you the ability to adjust multiple sensitivity settings to fine tune when your exit popup will trigger. False Positive Detection – Most exit intent popups simply trigger when the user leaves the browser. We take it a step further and detect accidental movement outside the lines. This prevents the false positive triggering. Soft Exit Detection – Detects when users are about to leave and presents them with a unique offer or message to deter them from leaving forever. Hard Exit Prevention – When users refresh, use the back button or close the tab/browser they will be interrupted and prompted with a customized message. If they choose to stay your popup will be shown. Enable Both Exit Modes – This will enable both soft and hard exit modes, whichever triggers first will disable the other. This way you are sure to get the users attention. Hard Exit Alert Only – Same as above except the prompt simply keeps the user on the site, the popup is not shown after the user agrees to stay. Show Users Targeted Offers – Using Popup Makers built in Targeting Conditions or the Advanced Targeting Conditions extension you can show users a super targeted offer based on any number of conditions, such as the pages content or the search engine they came from. Increase newsletter signups – This is the most common use, prompting users with special content offers or future tidbits is a great way to entice them to sign up for your newsletter. Further increase loyalty and future sales using auto responders and or drip email campaigns. Increase service sign ups – Offering free trials, or even simply to take a user to your pricing/sign up page can drastically increase your profitability. Give them extra content – Using targeted campaigns, you can entice users to convert by offering extra incentives, such as a free eBook related to the content on the current page. e-Commerce cart abandonment prevention – Often users get items in the cart and then decide to leave the site. A well timed offer using exit intent such as a discount code can not only keep them there but prompt them to complete their purchase when they would have left. Offer to chat with support – If users have questions when they leave your site, they may never get answered. A well timed offer to chat with support may be just what they need to become loyal customers. Webinar & Consultation Offers – If you offer free or paid webinars or consultation services, a great time to present them to the user is just before they go to leave. This can drastically increase attendance or consultations. Gain access to Exit Intent Popups and many more extensions with a single purchase. Click here for more information. Or you may simply click the button below to begin your purchase. To purchase just the Exit Intent Popups extension, select the option based on the number of sites you will need to activate your license on, and click the Purchase button.